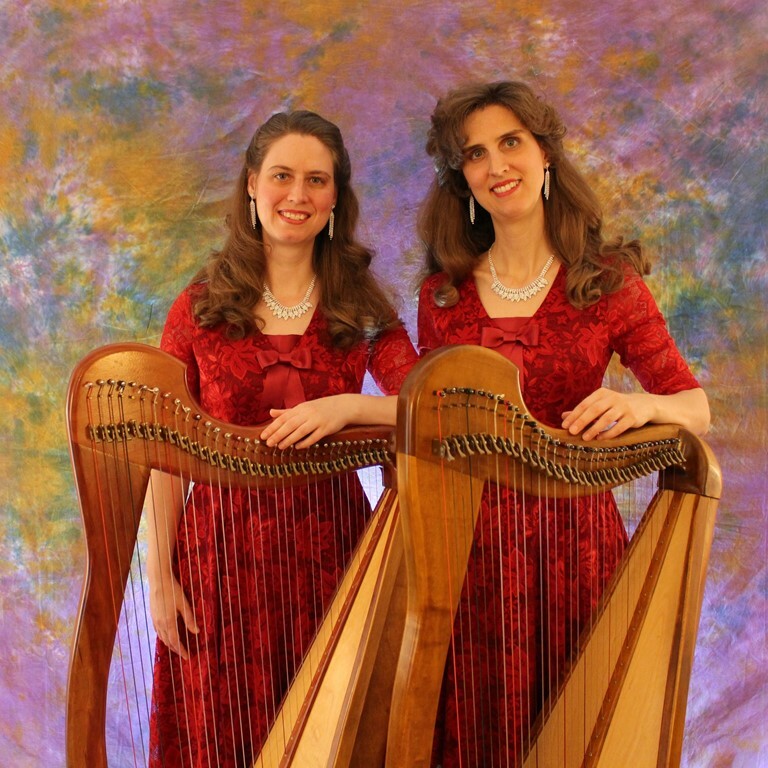 We are two sisters from sunny South Carolina who enjoy doing lots of things together, including playing the harp! We were homeschooled all our lives by our terrific parents and they continue to be our friends and mentors as we pursue new adventures. We both have a BA in History and Raquelle has a Masters in Civil War History. 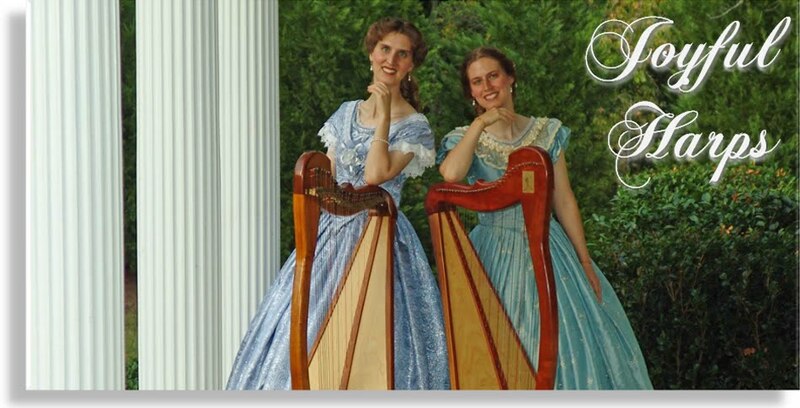 We enjoy writing for a local newspaper, teaching music lessons, running a sewing business, and being involved in many living history events as reenactors. Our love of the past has led us to research the music we play so you just might find yourself receiving a little history lesson on the sly when we perform! Heather plays piano, organ and guitar, in addition to harp. Raquelle plays piano, organ and violin, besides harp. Both of us enjoy teaching music as well as performing it. As Joyful Harps, we have been featured in newspapers, radio and on local television and we have performed around the country. We have released six CDs of our music and you can buy our songs as mp3 downloads as well. We hope you enjoy our music as much as we enjoy playing it! You can contact us at joyfulharps@earthlink.net. We'd love to hear from you!